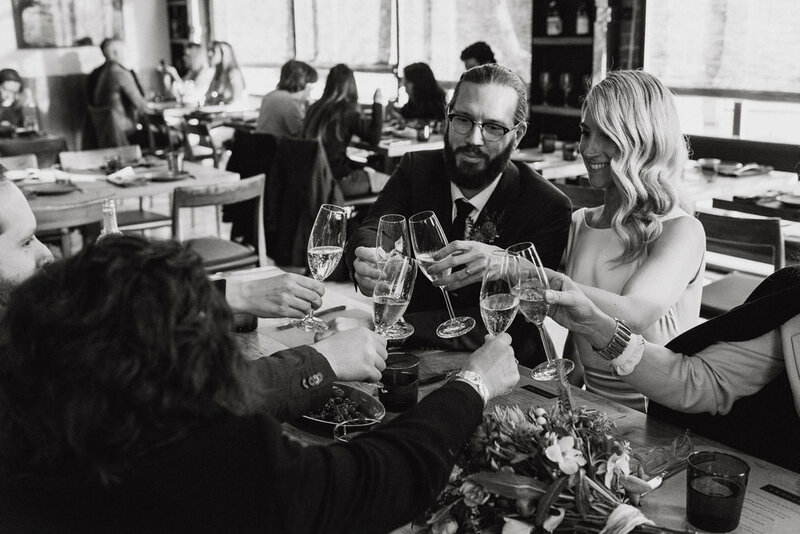 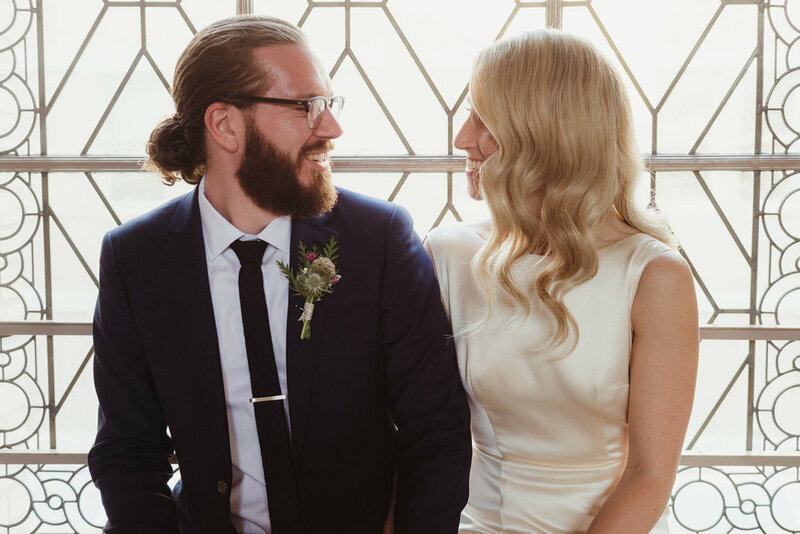 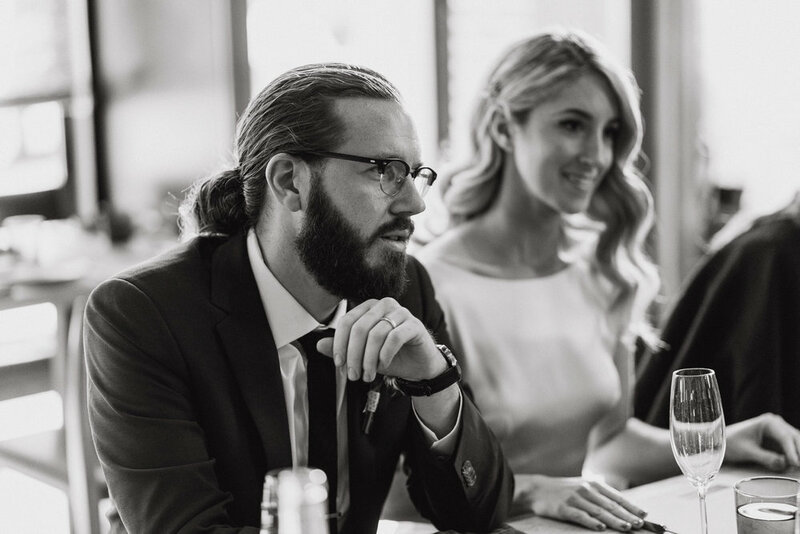 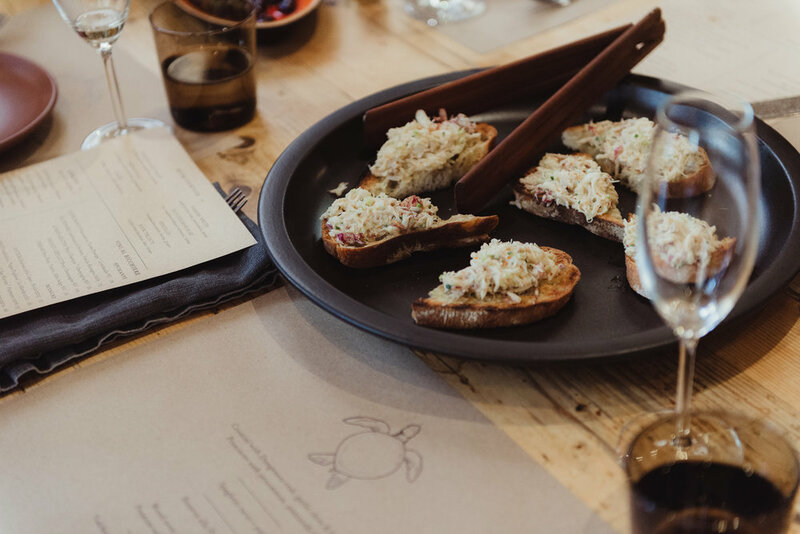 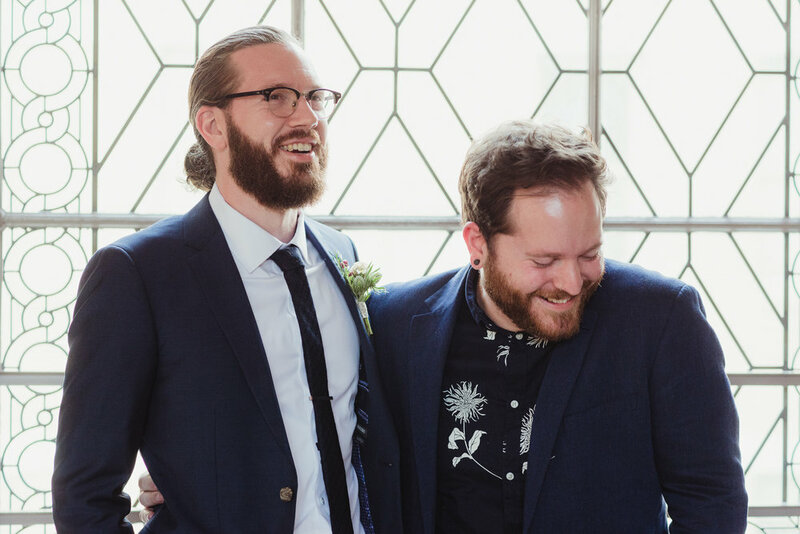 Matt and Malika live in Southern California and while they knew they didn't want a large traditional wedding, they still wanted to get married in style. 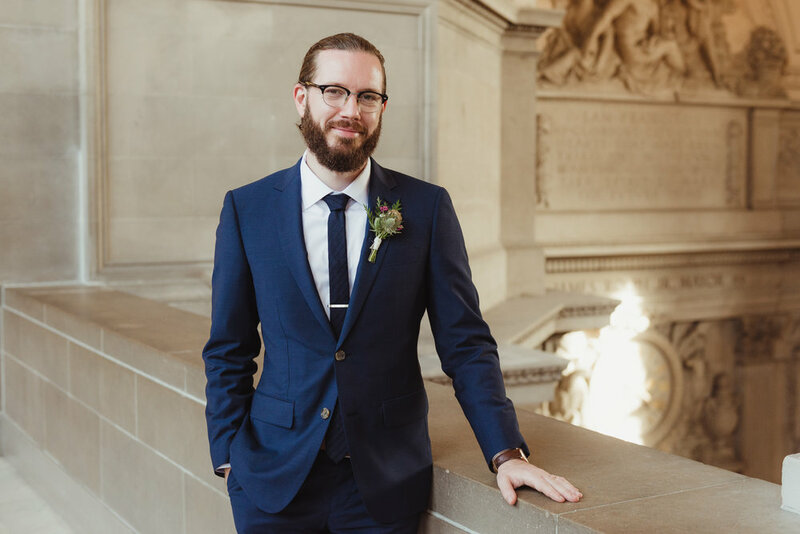 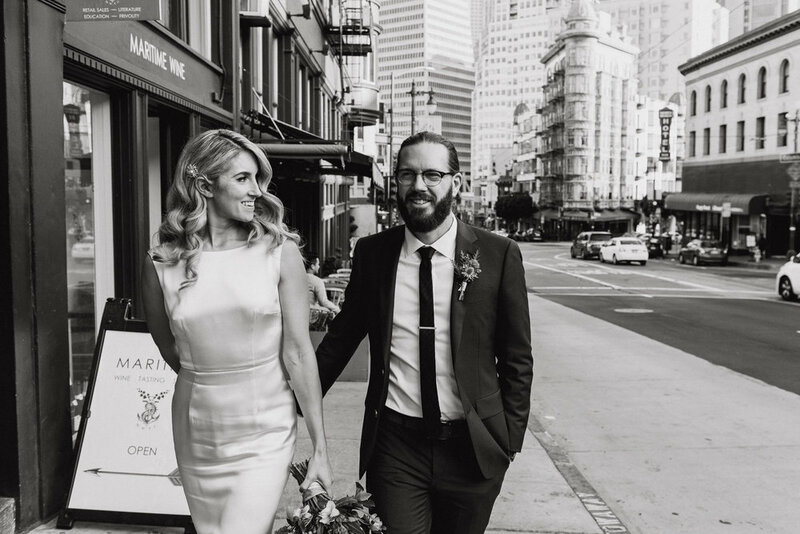 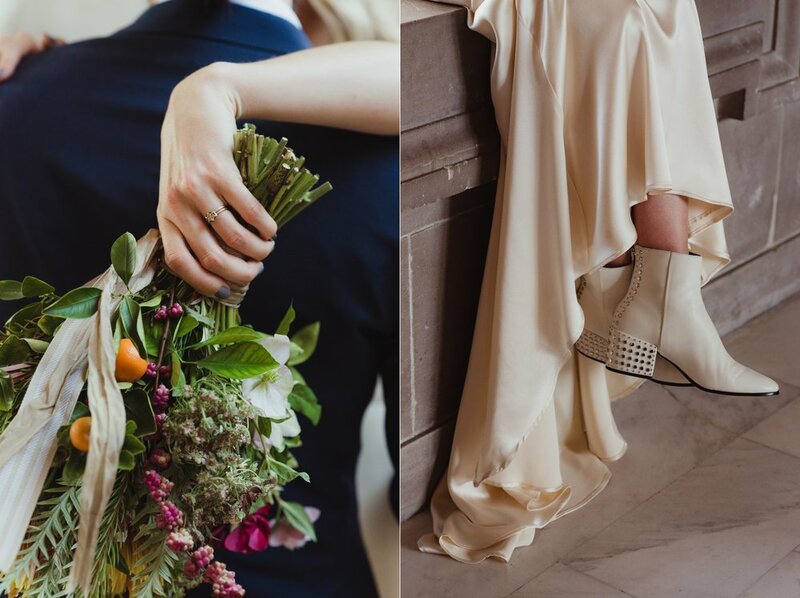 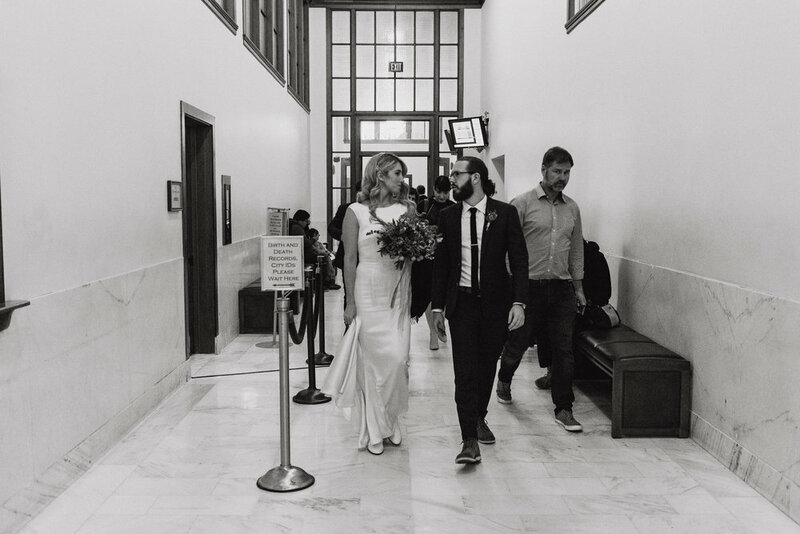 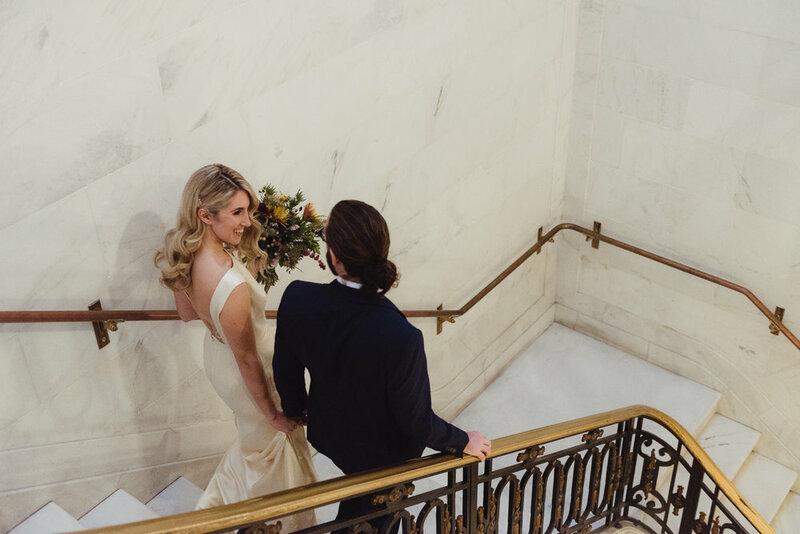 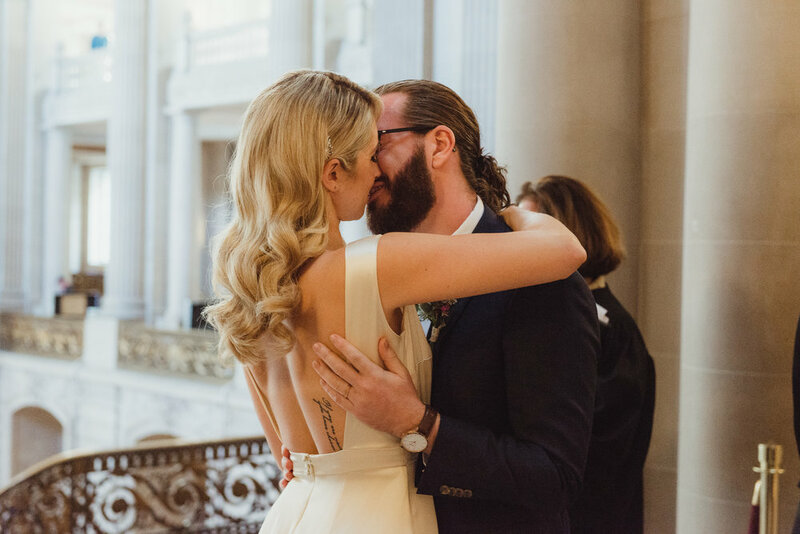 The classic and grand architecture of San Francisco City Hall made the perfect venue for their winter elopement plans. 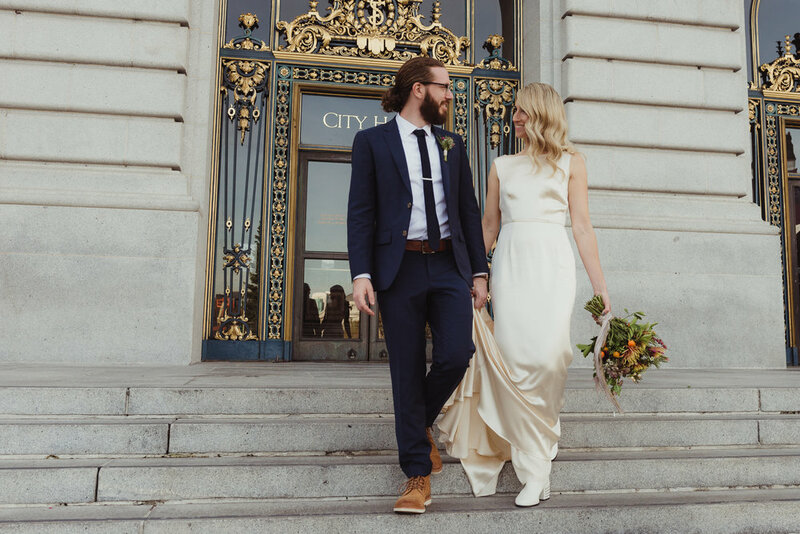 So they gathered their small families to explore San Francisco for a weekend getaway that kicked off with their city hall ceremony. 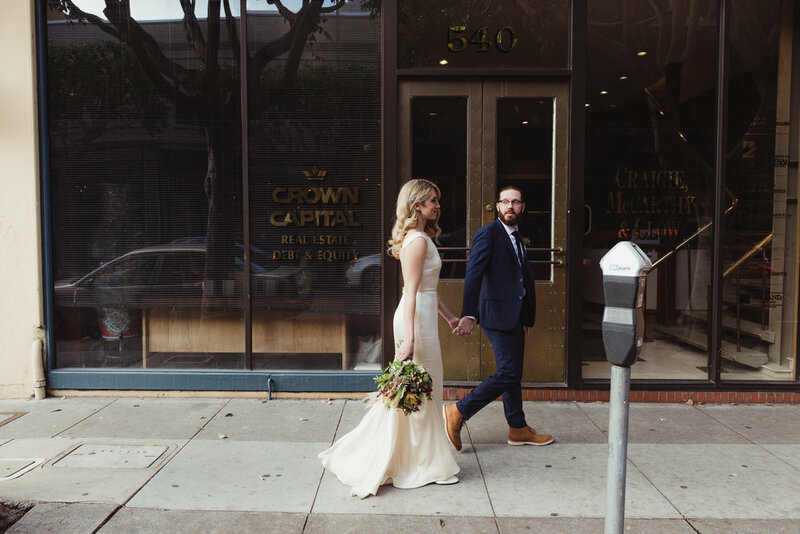 After the vows, we caught ride to North Beach were took a nice little stroll through the historic neighborhood before ending up at Cotogna for their lunch reception.